Formally recognise your business experience and springboard into an MBA with this accelerated online Graduate Certificate in Business Administration from Griffith University. This degree consists of the first four courses from Griffith University’s accelerated online Master of Business Administration, which establishes a strong foundation for the next step in your career. It’s built on core values that are crucial to modern business practice – responsible leadership, sustainable business practices and global orientation – teaching both management thinking and a greater understanding of the complex modern business world. You’ll graduate with a strong understanding of what’s required for businesses to succeed in the global modern economy, and how to understand and maximise your resources. You’ll build your personal skillset and make a greater contribution to your work – in a degree that takes less than a year of part-time study. This flexible, 100% online degree draws on audio, visual and interactive learning tools, to ensure you get the most out of your learning experience. 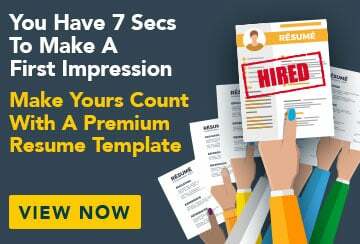 With practical assignments and opportunities for group collaboration, you’ll build relevant skills and make connections that set you up for business success. A minimum of six years’ full-time work experience, which includes four years of relevant work experience and two years in a role requiring leadership skills (leadership can include direct management or supervisory experience and/or managing and driving change in an organisational or project-specific setting). Why study with Griffith University? 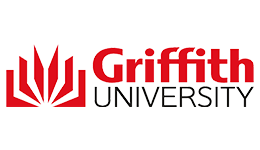 Griffith University offers each accelerated online student a dedicated advisor who will support you throughout your entire educational journey. Your advisor will be available for guidance or to respond to any queries via email, Skype or telephone. As a Griffith University accelerated online student, you'll also be able to access services including career development, counselling and disability support. Meet loads of like-minded students via Griffith's interactive digital learning community, and receive technical assistance whenever you need it with 24/7 support. Upon successful completion of this course you will receive a Graduate Certificate in Business Administration from Griffith University. With the practical skills developed in this course, you’ll be able to seek employment in a range of leadership and management roles across a variety of industries. You may choose to seek employment as a team leader, strategic leader, people manager or senior manager in both the public and private sectors. This qualification offers a seamless transition into the Master of Business Administration if you choose to undertake further study. With a GPA of 4.5 or above, you’ll qualify for admission to Griffith University accelerated online dynamic MBA program. Fill out this form and a Study Consultant from Griffith University will get back to you.